Hooray for Mother’s Day – our writers share their wishlists! Some of us receive designer goods for Mother’s Day while others receive a huge mug of over-brewed tea, mushy Vegemite toast and a wet kiss from their partners and babies. I’ll have to admit I’m happy with either just as long as I get that essential sleep in! The Babyology team has put together a Mother’s Day special for you using our very own wishlists. From top-of-the-range appliances and gadgets to things we need to be creative, it’s all here with budget options to suit everyone. 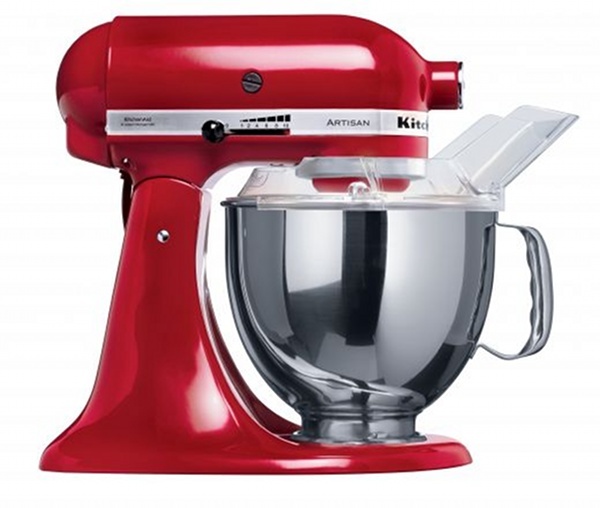 At the very top of Leah’s wishlist is a KitchenAid stand mixer in Empire Red (RRP $795). She has it on good authority that this will change her life for the better. Plus it comes with stacks of accessories meaning that Mother’s Day presents are well looked after for the next ten years. We like her reasoning! 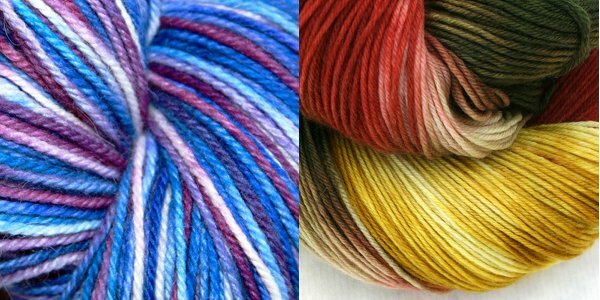 Leah is an avid knitter who loves nothing more than to make a stunning pair of socks so some fine additions to her hand-dyed yarn stash would float her boat this Mother’s Day. The selections below are from Etsy. 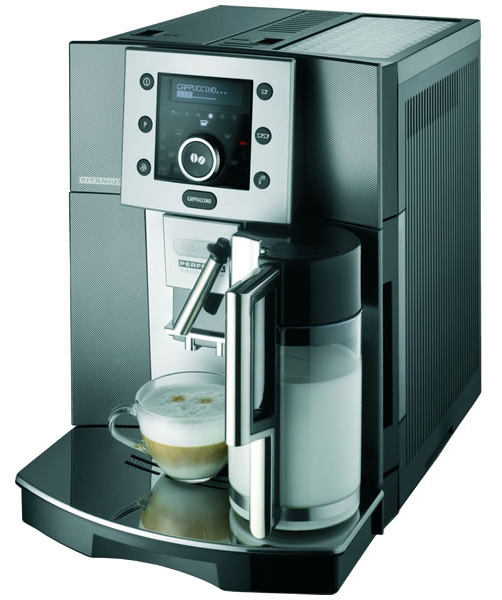 All Lexi really wants for Mother’s Day is one of these divine De Longhi Perfecta Cappuccino machines (RRP $2299) but says it’s more likely that she’ll get three different cereals served up in bed at various stages of sogginess, a lukewarm half strength coffee and three smiley little faces with assorted school crafts (which she adores!). 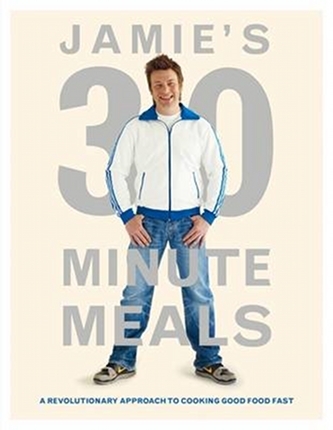 Let’s hope she at least gets her other choice of Jamie’s 30 Minute Meals cookbook, now $32.97 at Fishpond. 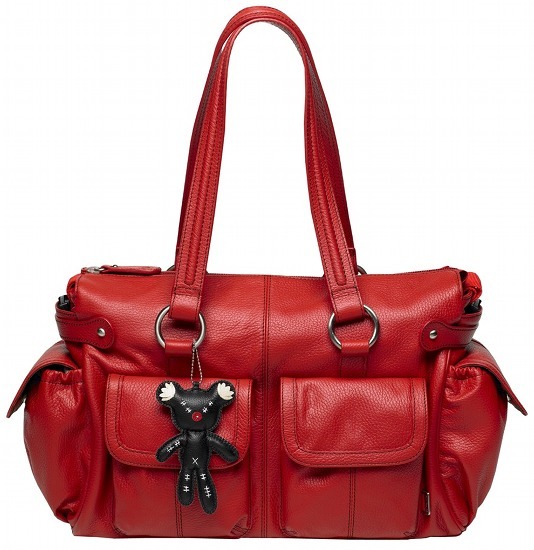 Mandi has a not-so-secret penchant for Il Tutto bags and although she already has two versions of the Olivia and a striking black Nico tote it seems her passion has taken over – for Mother’s Day this year it can only be the Mia in red ($449)! Another decadent treat on Mandi’s dream list is this divine Meerwiibli Polka Kimono raincoat (US$248). 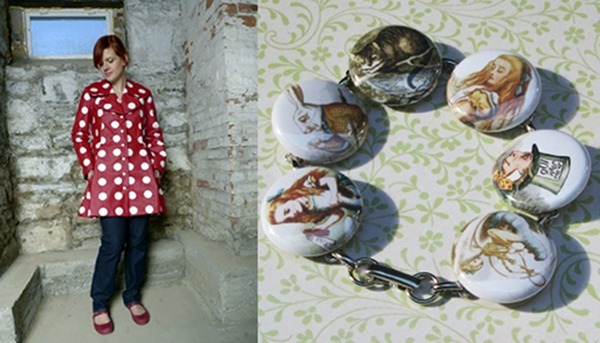 She also loves the bracelets from Etsy’s Flirtbuttons – this Alice in Wonderland button bracelet is US$15. Awaiting her overdue second child right now, nesting and comfort are at the forefront of Anita’s mind as she struggles to sleep and wonders if that baby is ever going to come out! 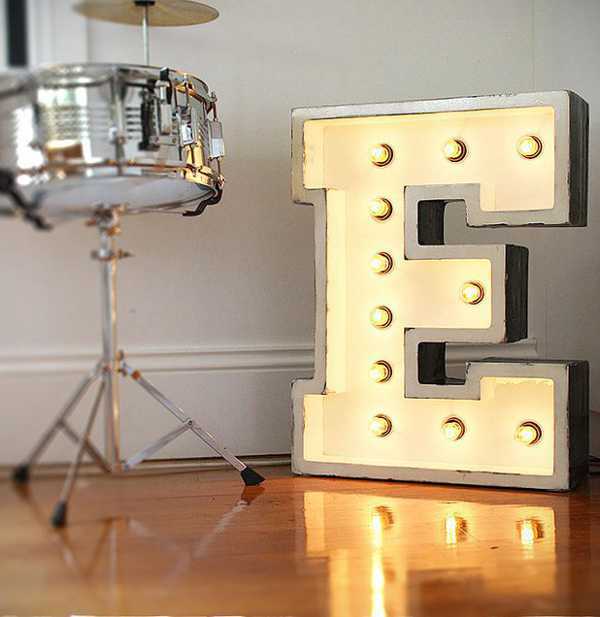 What better to take her to another place where things are bright and glamourous than the Fromage La Rue illuminated letters ($350) she wrote about in March. Alternatively these absolutely stunning Mine pyjamas by Baby Jo will be just dandy for post-baby! They’re $67.95 for a lush set which includes a singlet, a shirt-sleeved tee and a pair of relaxed fit pants. Nikki is our resident party queen and is already well-established in the kitchen with her very own KitchenAid in retro yellow. No surprises to learn that her Mother’s Day wishlist contains cake-related products! She often views her creations in amazement, if not shock, because pre-kids domestic arts were not exactly her thing. 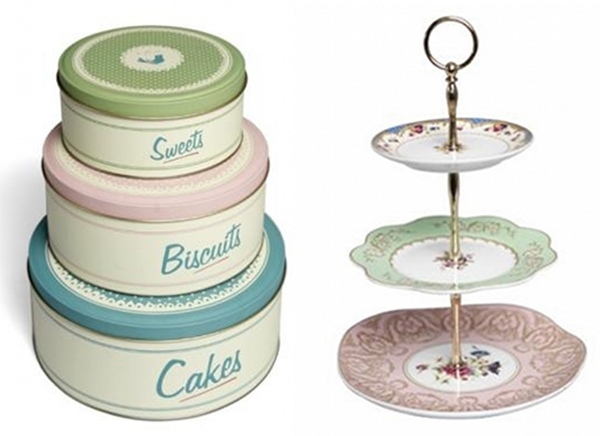 Lark is a party maker’s heaven with its range of beautiful retro kitchenware. Nikki has selected the set of three Pantry Cake Tins ($29.95) and the Regency China Cake Stand ($79) as her must-haves for this year. 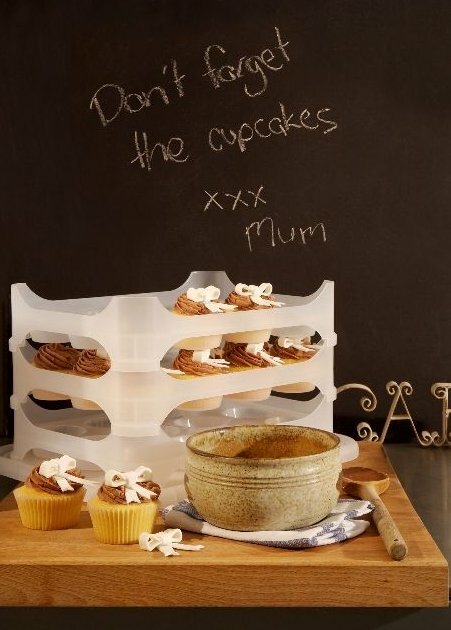 She also wants the Cupcake Courier ($49.95) below. 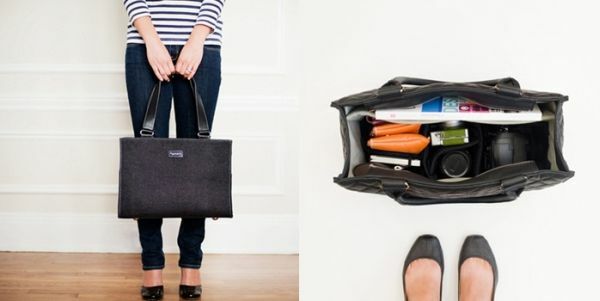 Katrina confesses she hasn’t been able to rid her thoughts of the beautiful Emera Classic Canvas camera bag (US$169) since she wrote about it in January. 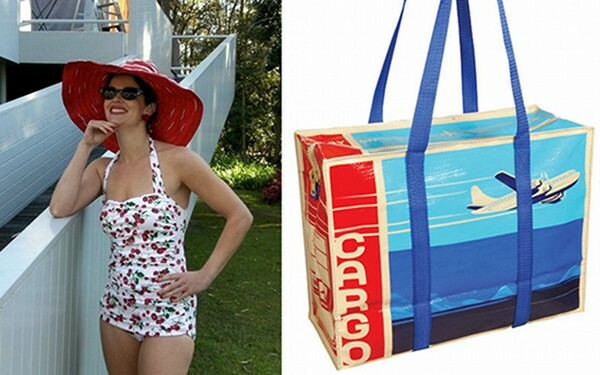 She’s also getting into some mid-century style with her choices of a Prue Trollope swimsuit ($145) and cool cargo bag, which at US$15 is the most affordable item here! 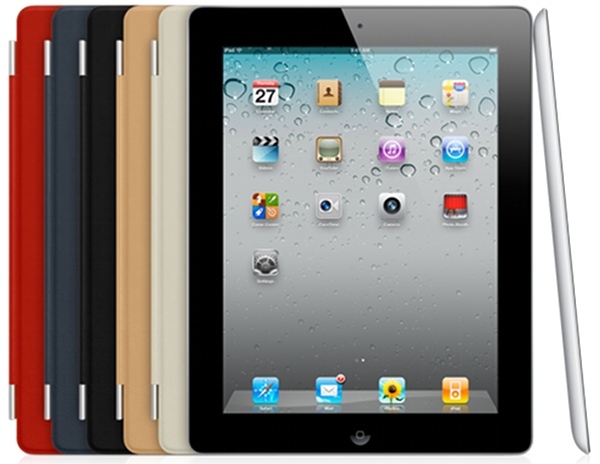 Along with almost all of the world, Suzi wants an iPad 2 (from $579). Infected by the Apple affliction which involves obsessing about every new release, avidly studying the improvements in each model and weighing up where her Apple dollars can next be spent, she’s popped herself on a waiting list for one of these scarce beauties. She’s really hoping her husband lined up for three hours to get one on launch day but suspects this isn’t the case. 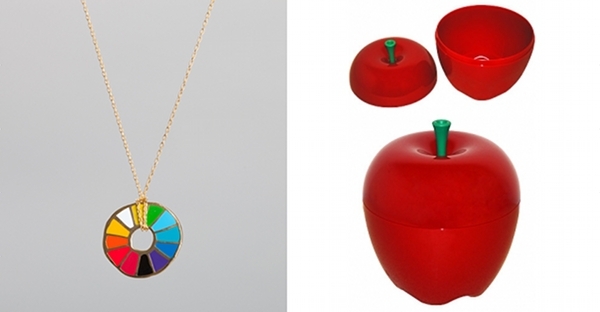 She’d also be delighted with the divine Yellow Owl Workshop Colourwheel pendant (US$44) or the oh-so-happy large Happle fruit bowl ($99.95). What Elizabeth would really like as a mother of three little girls is someone to come clean the house but she also said that her dream gift was this Little Pencils artwork which we wrote about in January. 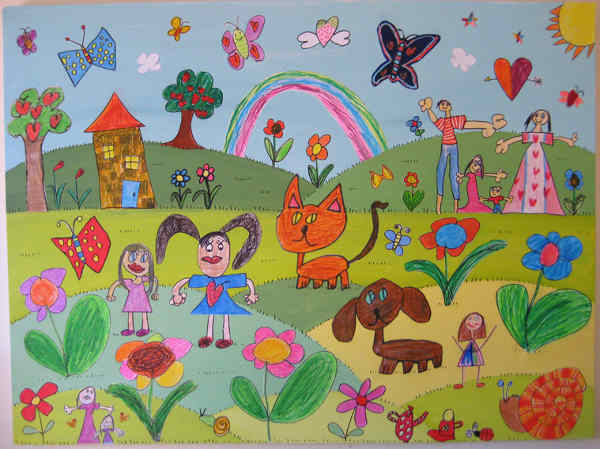 Such a marvellous way to record your children’s art! With a newborn around, Elizabeth doesn’t get much time for pampering so she would like absolutely anything from the gorgeous Aesop range of body care. We’d love it if our readers shared their Mother’s Day wishlists! Please feel free to comment below. From the team at Babyology, we all wish you a relaxing Mother’s Day being pampered by your loved ones!